The story of Joseph in Arabic verse: The Leeds Arabic manuscript 347. Edited with a translation and notes by R. Y. Ebied and M. J. L. Young. 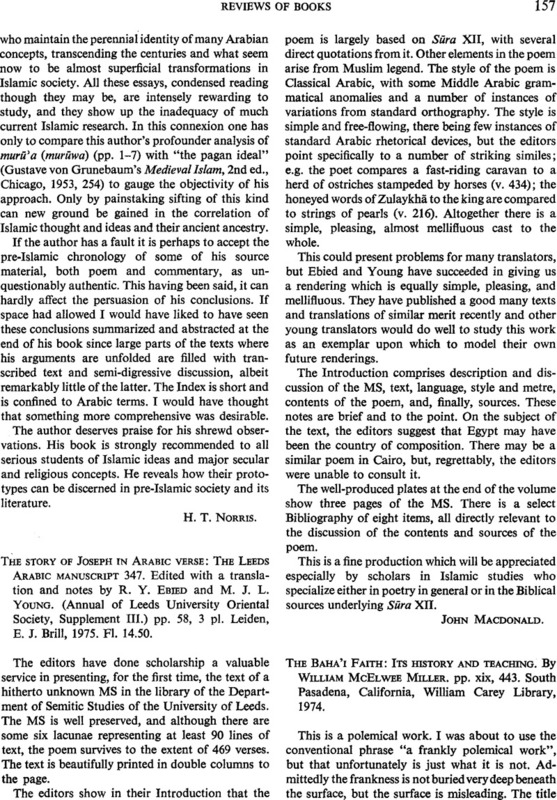 (Annual of Leeds University Oriental Society, Supplement III.) pp. 58, 3 pl. Leiden, E. J. Brill, 1975. Fl. 14.50.